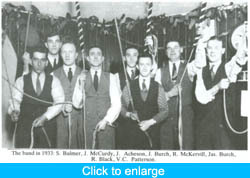 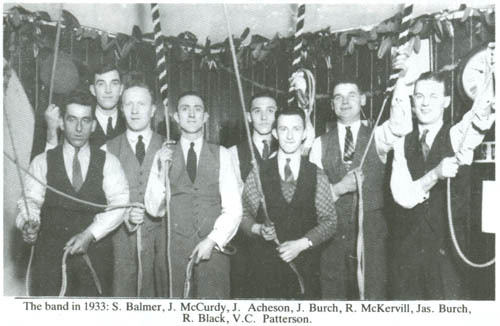 The 1933 band of ringers pictured in the tower. 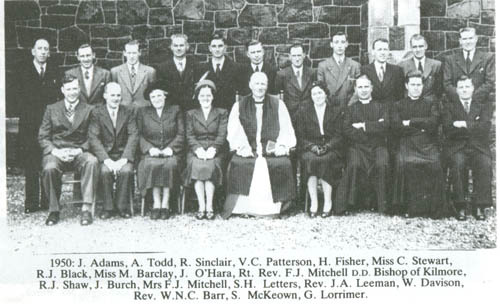 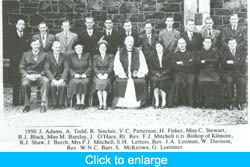 The 1950 band of ringers pictured outside the church along with the Clergy. 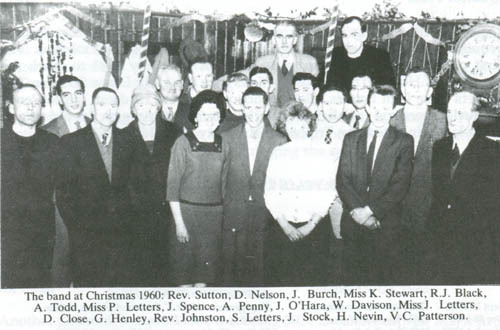 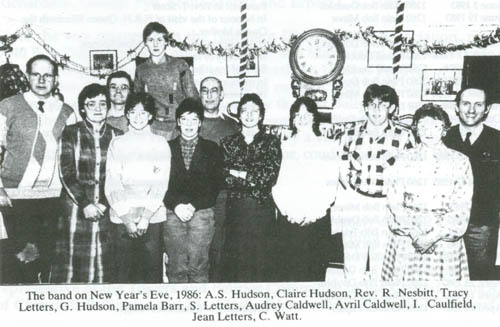 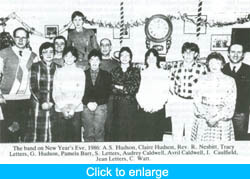 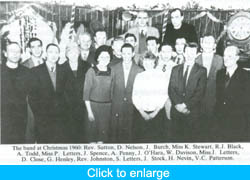 The band at Christmas 1960. 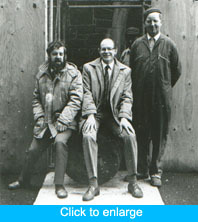 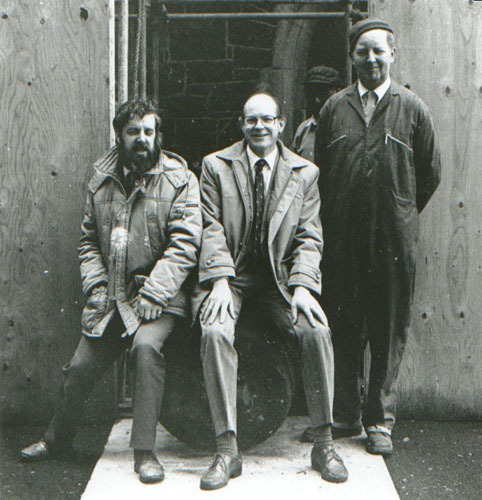 The Bell Hanger Trevor Bailey (right) pictured with Brian Campbell (left) and Andrew Hudson.